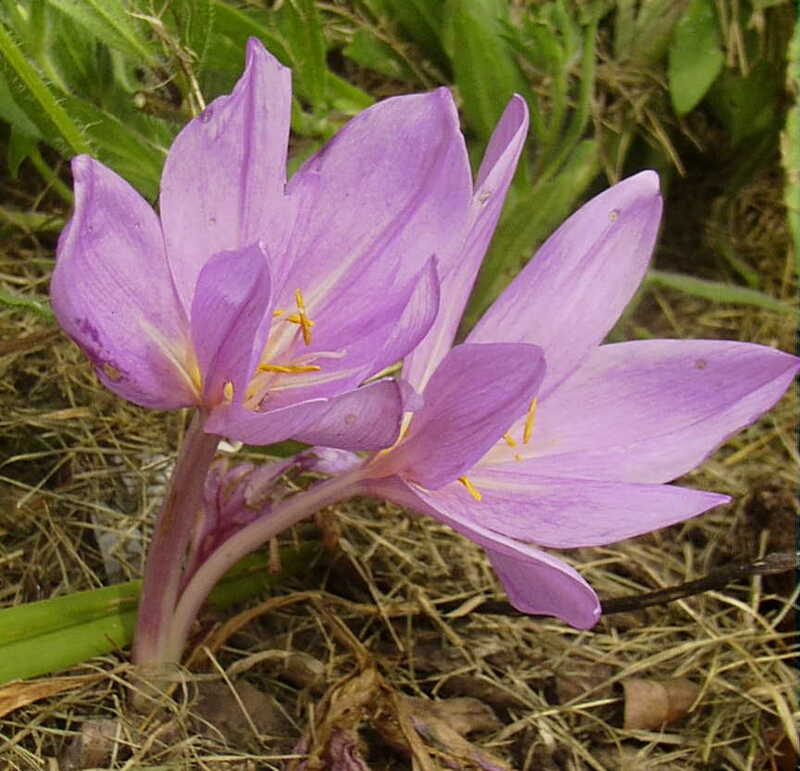 Russell Stafford of Odyssey Bulbs describes this as “a superior selection whose rich violet flowers are among the deepest in hue of any colchicum’s. . . . It is of robust constitution.” Well, it does seem robust, but not any deeper in color than say, ‘Zephyr.’ It seems like color is such a moving target. Two different people can describe the same flower with two different colors. It makes it very difficult to feel confident that I have a correctly labelled plant. Stafford doesn’t mention a purple perianth tube, but this has one, did you notice?